I’ve been waiting over nine years for this game to finally happen. Even though I’ve yet to actually beat the game, I think I’ve seen and done enough to talk about it a bit. So, let’s get goin’. So, this game is absolutely beautiful. I feel like this is one of the best uses of HD graphics I’ve ever seen. While the first Pikmin games looked outstanding, Pikmin 3 just blows the old environments out of the water. Everything looks so idyllic and… well, all of this paragraph is going to just boil down to synonyms for beautiful if I keep going. Either way, the game is all kinds of eye-pleasing. The game also has one of the best little details in terms of graphics: Idle animations! Pikmin will sit down and look about and just kind of exist when not doing a job or going somewhere. Alright, so we’ve established that the game is really pretty and that pikmin do cute things when they think you’re not looking. How’s the game itself, though? 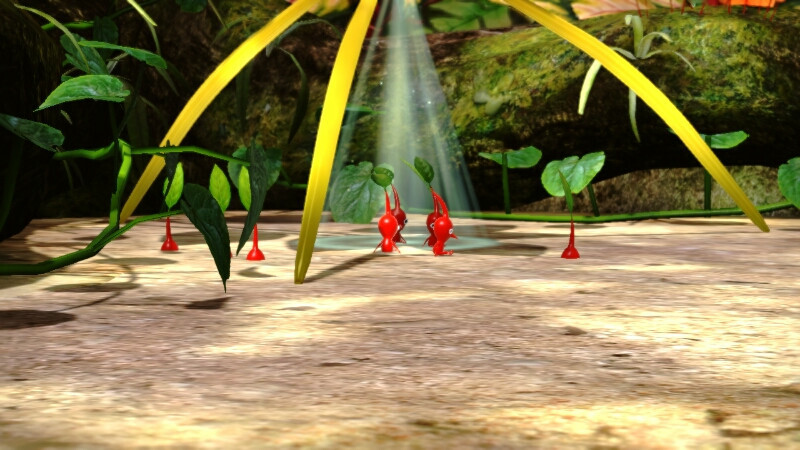 In all honesty, Pikmin 3 is the best of the series. Much like Shin Megami Tensei IV, this game is all about convenience. First, they give you multiple control schemes. Do you just want the gamepad? Go ahead! Or would it serve you better as a map while you deal with leading a miniature army via apparently-more-precise Wii Remote and Nunchuk combo? Now, the convenience extends beyond just this. Anyone who’s played the original game remembers how much it sucked for one bad day to ruin your entire game, right? I mean, I certainly do. Thankfully, you’re given the freedom to go back and replay days, which means that one bad day won’t completely ruin your file. As someone who is just straight-up bad at Pikmin games, this is easily the second-coolest feature. Yeah, I said second-coolest. 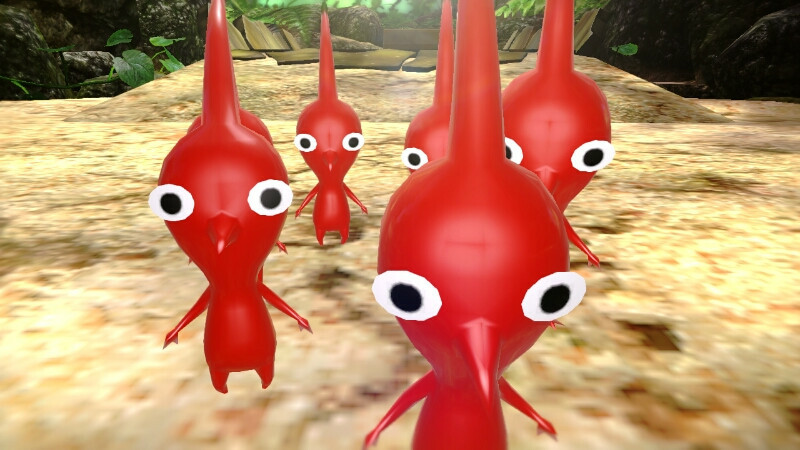 The best feature is a toss-up, honestly While the Zelda-inspired lock-on mechanic allows you to keep an enemy in your sights and easily strafe for getting around to vulnerable areas, the new rock and winged pikmin bring infinitely more variety to the game than Pikmin 2‘s purples and whites ever could, especially since whites didn’t have a whole lot of individuality outside of digging. Despite all of this cool stuff, the game does have some issues. My biggest (only, really) problem with Pikmin 3 is the lack of any kind of co-op play, at least as far as the story is concerned. I get that one of the big draws to the game is being able to manage this giant, 100-pikmin army, but I can’t think that the game couldn’t have been improved with optional co-op play, especially since the gamepad’s off-TV play would remove the need for split-screen. And the gamepad can be used as a camera, I can use to take really bad photos! Anyway, this game went above and beyond what I was expecting. While I’m a wee bit annoyed that we had to wait nine years, I’m all kinds of happy with what we’ve got. Anyway, I think that’s all I’ve got for the moment. As always, thanks for reading and have a good’un. This entry was posted in Review, Video Games and tagged pikmin 3, pikmin 3 review. Bookmark the permalink.